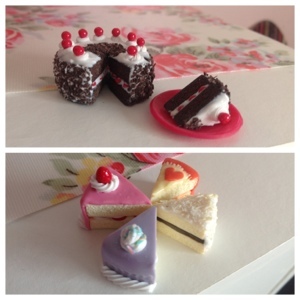 Littlest Sweet Shop: Cakes and more! I have been working on this project since new year and I have finally completed it today! Please send me an enquiry via the order form if you are interested in any of my new items. 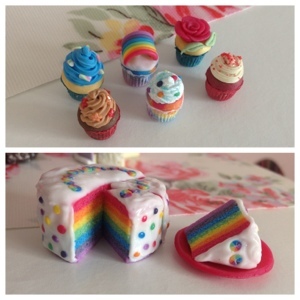 Rainbow cake with white frosting (I call it the rainbow confetti cake), classic Black Forest cake, various new cake designs and new cupcake designs (with real paper liner! ).